As we know, plants and flowers could help us to get good feng shui in our home. Those feng shui plants and flowers also can be placed in our office room to get positive feng shui energy for us. 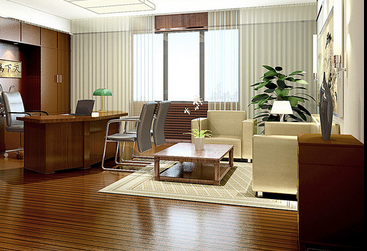 There are some good feng shui tips you can follow to get good feng shui for your office room. Board leaves plants can absorb some negative feng shui energy from washing room. So if your seat and office desk or the door of office room facing the toilet directly, you can place some board leaves plants between your desk and toilet. It would be better to replace those plants periodically. If you seat and desk facing your colleague directly, you can place some plants and files between you and your colleague. But do not place any sharp objective and metal thing; those things could affect the feng shui and colleague relationship. If your seat facing aisle, you can placing some board leaves plants to block rushing feng shui energy flow coming from aisle. If your seat back near or facing aisle, you also can help you to board leaves plants to protect your back away from rushing feng shui energy flowing in aisle. Those plants also can become strong supporter for you. If there is a garbage can, you can place one plant to block it. It is very important for positive feng shui to choose one proper plants and flowers. Board leaves plants means rich and good feng shui, but the tiny or sharp leaves plants are full of negative feng shui. So we would better to choose board leaves plants to get positive feng shui in our office.